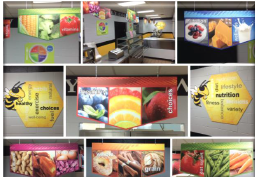 The Improving the Dining Experience initiative aims to assist districts in implementing a thoughtful approach to increase student participation and satisfaction with their experience. Recognizing that technology like mobile apps may be part of the solution, this N2F work Group has developed a best practices workbook which blends equipment, technology, and a thoughtful process to drive successful planning and execution. The outcome of this endeavor is a comprehensive guide for budgeting, design and implementation of several interventions. Pilot schools will be testing and measuring the impact of these innovations. The work group examined a wide range of school food service interactions from a customer perspective. Their work started with a student survey. Here are the two big take-aways: First, while 70% of students were satisfied with their “school meal space”, 62% feel hurried and 69% didn’t feel relaxed. Second, as a somewhat “captive audience,” students also wanted to be have their voices heard to improve the meal service at their school. Student’s frustration is often fueled by a combination of short lunch periods, cafeteria congestion and slow moving lines. Directors know that these factors depress participation. New customer centric solutions are emerging to address these known issues. For example, effective line queuing can help, especially when enhanced with kiosks. 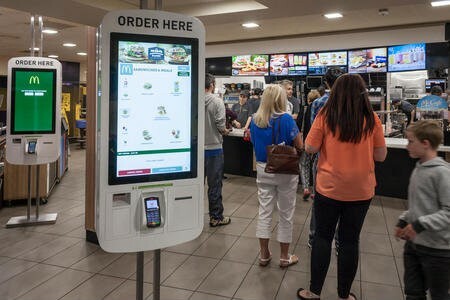 The Food Court on Wheels is another collaborative initiative that combines the power of mobile apps, brands and specialized mobile equipment to drive self-service stations. Paint: Adding paint to the cafeteria changes the atmosphere of the space at a low cost. Choosing a theme such as school spirit, can be done by students and the painting itself can be a student project. Artwork: Adding artwork and paint accent to walls makes a strong visual impact. Carefully placed artwork on focal walls, such as the serving wall, will enhance the overall cafeteria surroundings. 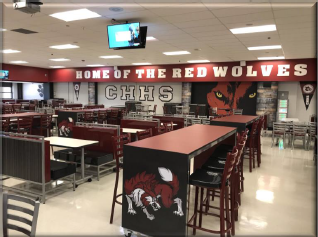 Furniture: New furniture in the cafeteria is the most expensive part of any redesign but can make the biggest difference in the student’s comfort and dining experience. Queue Lines: From the student survey, time spent waiting in line and time allotted to eat were identified as concerns affecting the student’s dining experience. Adding queue lines (such as posts and ribbons) allows students to fil multiple lines and cuts down on serving wait times. 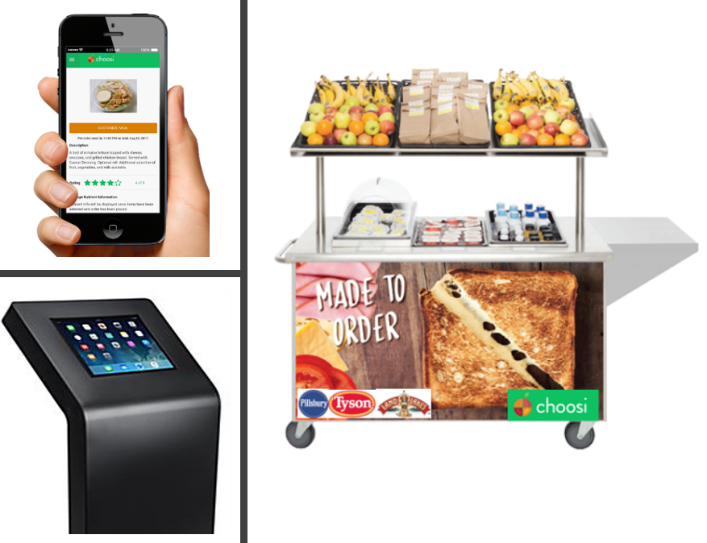 Mobile Carts: Whether used for Breakfast in the Classroom or used to add a quick serve line in the cafeteria or in another location, they can also facilitate more rapid serving and reduce wait times. Coupled with mobile apps, it can expand the operational capabilities to allow pre-ordering of Grab & Go Meals.